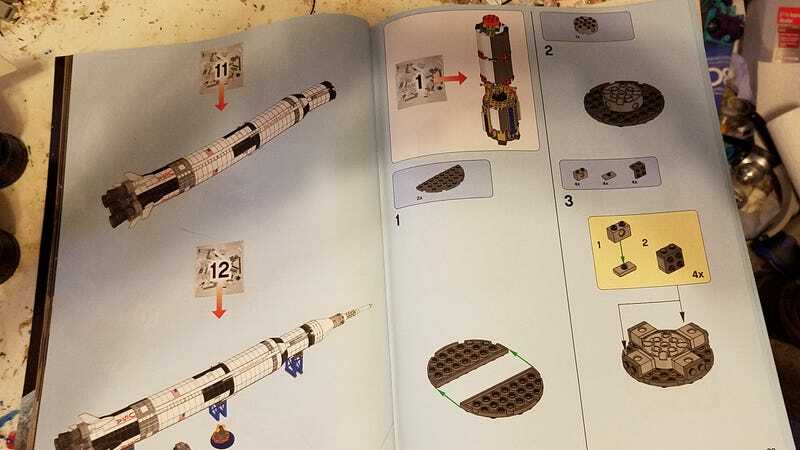 The instructions don’t start until page 28 of the book! Three hours and six bags of Lego later. Building Lego and watching Mythbusters. Six more bags and another hundred pages to go! All stages complete and on their stands. I admit to using some Kragle on the launch escape tower.